Ronald D. Moore and Terry Dresbach already gave a behind the scenes look at “The Wedding,” but today Starz released an extended behind the scenes video all about the episode. The interviews included are with Ron and Terry again as well as Sam Heughan, Caitriona Balfe, and writer Anne Kenney. My favorite parts of this video are the pope mobile and the bench for Caitriona because of how heavy the dress was. 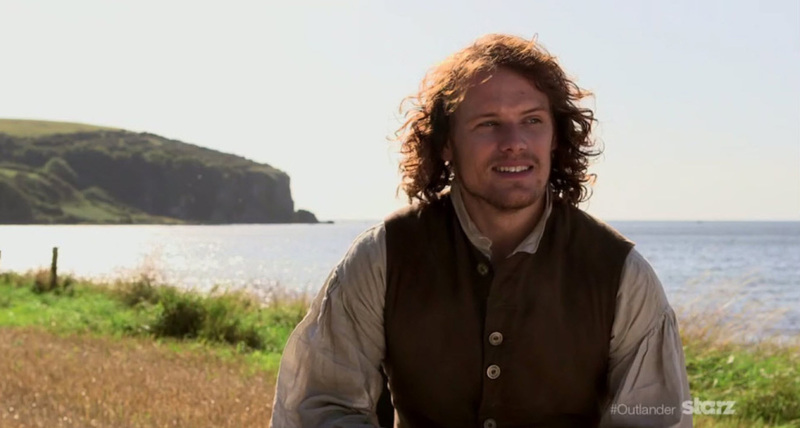 Also, it is surprising to see Sam’s hair so long in the interview portion. If you think back to episode one, it was pretty short. He’ll definitely have it in a plait in season two. This entry was posted in Anne Kenney, Caitriona Balfe, Production News, Production Videos, Ronald D. Moore, Sam Heughan, Terry Fanning and tagged Anne Kenney, Behind the Scenes Video, Caitriona Balfe, Ronald D. Moore, Sam Heughan, Terry Dresbach, The Wedding by Sarah Ksiazek. Bookmark the permalink.